I’ve spend the last six months traveling in the land of brain fog. It’s a weird level of brain fog. I putter around the house as if I’m thinking just fine, then I sit down to write and my IQ plummets. Although my inability to string sentences together has kept me quiet, I’m actually doing remarkably well. My new treatment is working way better than I could have imagined and I’ve determined that the cognitive dysfunction is almost certainly a side effect from a drug I’ve been able to stop taking. I’ve been using my new treatment since June 23. (I have to keep it a secret just a little longer. I’m told I’ll be able to tell you about it any day and am so excited that you’ll be the first to know when I can. Know that I’m not holding out on something that could help you now—It’s not yet available, but should be very soon.) 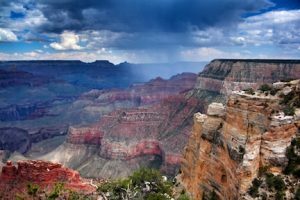 The first months were full of heartbreaking lows and exhilarating highs, then my migraine symptoms seemed to settle into a slow and steady improvement. After quitting the ketogenic diet six weeks ago, my improvement became astonishingly swift. I can now eat anything I want. (I have to repeat that: I can now eat anything I want!). I still get a migraine attack every time I eat, but the symptoms are barely noticeable when the treatment works. When the treatment works… that sounds ominous, but it’s really just part of the ongoing adjustment. Balancing the variables of which foods and how many calories I eat with calibrating the treatment just right is a challenge, especially because I keep trying new foods. 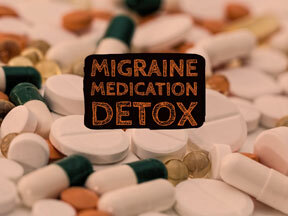 When the dose is too low, the treatment dampens the migraine attack without fully aborting it. At too high of a dose, I feel great for an hour or two before a rebound migraine attack hits. However, When Goldilocks is satisfied, I’m high with feeling like myself again. Given the overall success with the new treatment, the persistent brain fog was frustrating. After dealing with it for months, other symptoms starting creeping up, like increased anxiety and ringing in my ears. When dizziness become another frequent companion, I had an epiphany: Wellbutrin has been the source of all the debilitating bouts of dizziness in my life. My new treatment is also used for depression… perhaps in addition to helping my migraine attacks, it was reducing my depression and making me overly sensitive to Wellbutrin’s side effects. I reduced my dose from 450 mg to 300 mg in January and the brain fog, dizziness, anxiety, and tinnitus reduced. Two weeks later, the symptoms began to resurface, so I reduced the dose again. And again. I’ve been completely off Wellbutrin for a week, the brain fog seems to be receding, and the other related symptoms have abated. After a busy few weeks of doing the Miles for Migraine race in Phoenix (please join me if you’re in town! ), attending a conference at the Mayo Clinic and another for Health Union advocates (that’s the company behind Migraine.com), having my family visit, and recording for the migraine video series I mentioned last week, it’s time to think about the future. What matters most to me right now? Where will I be writing and how much? What roles will I play at TheraSpecs? How will I build my local community now that I’m able to be more active in the world? How else do I want to spend my time? I’m not sure what answers I’ll find, but I’ll let you in on the exploration. “This too shall pass.” Those words provide immense comfort when my migraine attacks are severe and disabling. They have carried me through many difficult years. As encouraging as this phrase can be, there’s a flipside to it: the difficult, trying times in life pass, but so do the pleasurable ones we never want to end. “This too shall pass” means that everything passes. When I had migraine attacks last Sunday and Monday after having a remarkable few days, I was too busy panicking to remind myself that they would pass. My mind churned on my most fear-filled thoughts: What if my new treatment isn’t working? What if it’s making me feel worse? What if I will never again feel as good as I did these last few days? Although I was 100% sure I was overreacting, that did nothing to assuage my fears. My worry settled a bit on Tuesday after I stopped the oxytocin (which was definitely a migraine trigger for me), but I continued to fret. I didn’t remember that this too shall pass until Wednesday. That’s when I finally realized that detoxing from medication overuse headache and trying new meds mean I’m in a transition period. That should have been obvious, but I was so caught up in excitement—and then the fear—for the future that I wasn’t paying attention to the present. I’d forgotten that progress is not linear. “Transition period” became a mantra of sorts in the last week. When I start to panic, I remind myself that I could still be detoxing from my meds (especially since I gave in to Amerge last Monday) and that the effects of my new treatment tends to build over months. Even more turbulence comes from experimenting with new treatments (Compazine, oxytocin, and some new-to-me preventives), changes in my meal frequency, and introducing new foods. I still have a ton of variables to work out. “Transition period” is now shorthand to remind myself that it will take time to sort out all these confounding factors. It’s kind of an odd mantra, but I like its hopefulness. It tells me that I’m on my way to somewhere new, somewhere that could be great. (It could also be awful, but I’m not dwelling on that.) This too shall pass. I have no idea where I’ll be when it does. That’s a little scary, but it’s mostly exciting. I’ve been taking an Amerge (naratriptan) and two Midrin twice a day since April 2015. 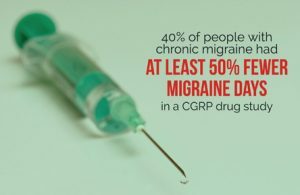 The medications allow me to function, but have the potential to increase the frequency, severity, or duration of my migraine attacks through medication overuse headache (MOH), which is also called rebound headache. My headache specialist is aware of my medication use. We discuss its potential impact at every appointment and he reiterates that the odds of it being a problem for me are quite low. Although my history showed MOH was unlikely to be a concern for me, I was still concerned. With my doctor’s consent, I persisted taking the drugs because they were the only way I could function. Since eating anything is my migraine trigger and no preventive medications have been able to address that issue, I feel stuck. Going off the medication is not going to stop eating from being a migraine trigger. But my last visit with my headache specialist got me thinking about the two treatments I’ve been trying this year. One is the ketogenic diet and the other I can’t tell you about yet. Both have helped a small amount, but neither has had a huge impact. They have helped enough that I don’t want to stop either one, but I’m having trouble quantifying the extent of each one. What if MOH is somehow keeping me from realizing the full benefit of either or both treatments? What if…? When a question like that lodges itself in my mind, I have to learn the answer. My migraine medication detox began last night. My doctor offered to admit me to the hospital to keep me comfortable through detox. I declined because I don’t think I need it. Instead, I will take Compazine (prochlorperazine) 30 minutes before meals and use an oxytocin nasal spray after the migraine attacks begin. Compazine is known as a nausea drug, but it can also help reduce migraine symptoms. Oxytocin is being studied as a potential acute migraine treatment and could also have preventive effects. If my migraine attacks take a sharp turn for the worse, I’ll add DHE or Migranal to the lineup (assuming they aren’t out of stock). I have the option of starting another preventive at the same time, but think I’m going to wait in an attempt to control variables. If you’re reading this to learn how to do a migraine medication detox with as little pain as possible, please be aware that my treatment may not be an applicable template. For most people with MOH, going off the medications would result in horrendous pain. My symptoms and situation are different than most. Thanks to my current preventive treatments and dietary restrictions, my pain rarely gets above a 3 on a 0-10 scale. I expect that it won’t exceed a 6 even while detoxing. Fatigue and cognitive dysfunction have been more disabling than the pain for me for the last few years. Those symptoms will be bad, but as long as I can feed myself and plan to limit my work for a couple weeks, detox shouldn’t be too bad for me. I very much want to discover that MOH has crept up on me and is keeping two somewhat effective treatments from reaching their full potential. But I’m not holding my breath. I suspect I’ll go through migraine medication detox and discover that I still have a migraine attack every time I eat. While the acute medications may be increasing my susceptibility to migraine attacks outside of eating, they are also managing the attacks I get twice a day no matter what. My best hope is that the ketogenic diet and the other treatment are far more effective than I think because MOH is hiding their efficacy. Or maybe oxytocin will provide great relief. Whatever happens, I’ll have at least one more data point to help determine what my next course of action will be.